In 2-quart saucepan, melt butter over medium heat. 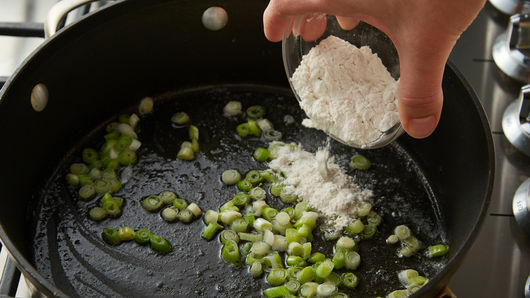 Cook green onion whites in butter about 2 minutes, stirring occasionally, until tender. Stir in flour, salt and red pepper. Cook and stir about 30 seconds or until bubbly; remove from heat. Stir in half-and-half and cheese. 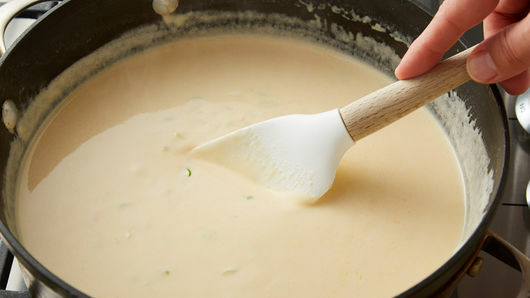 Return to medium heat; cook 6 to 8 minutes, stirring frequently, until slightly thickened and cheese is melted. In large bowl, mix potatoes and bacon. Spread mixture in baking dish. 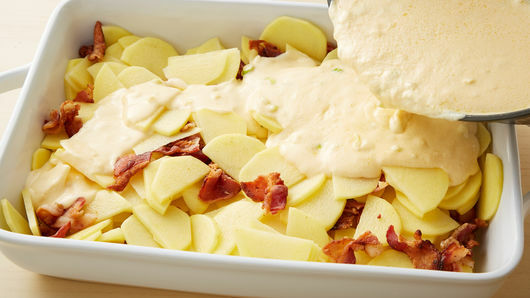 Pour cheese sauce evenly over potatoes. Bake 1 hour. Sprinkle bread crumbs onto potatoes. 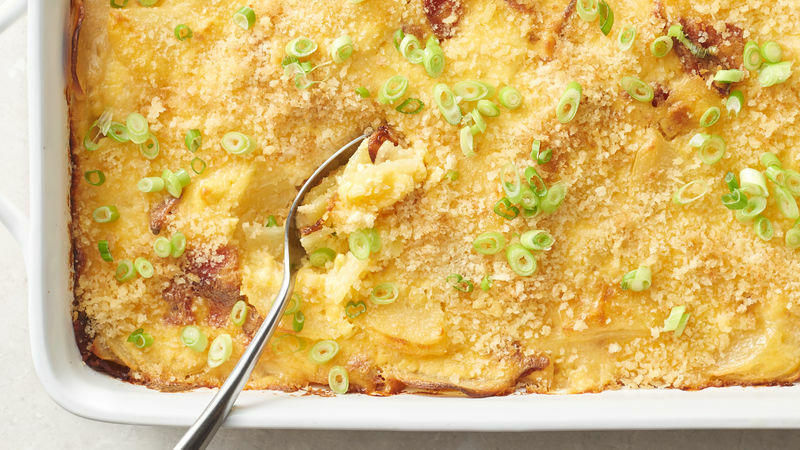 Bake 10 to 15 minutes longer or until top is browned and bubbly and potatoes are tender. Let stand 15 minutes before serving. Top with remaining green onion greens before serving. Au gratin potatoes thicken as they stand and cool. Yukon Gold potatoes work well in this recipe, but other boiling or baking potatoes also work well. Prefer extra heat? Stir in 1/4 teaspoon ground red pepper instead of 1/8 teaspoon.